CANCUN – According to Novedades Quintana Roo newspaper, the image of several dead bodies on the beaches of the Mediterranean that went around the world in 2016 was “retouched” with Photoshop to add elements of the Mexican Army and then was published on the website “Más viral no hay” with a text that alerts the population about the high level of violence in Quintana Roo. This same information began to spread through social networks causing fear among readers. Despite the insistence of those who detected at the time that it was a false news, the image continued to be distributed, so authorities of the Ministry of Tourism issued a statement clarifying that this information was not real. The statement requests not to pay attention to the portal’s information and to trust that the authorities are taking the appropriate measures to guarantee that the true facts are communicated to the tourist industry. 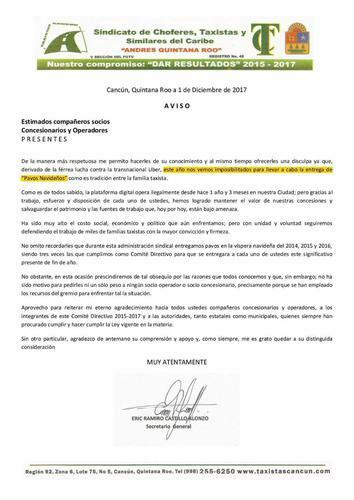 It ends by extending an invitation to contact, in case of any doubt, staff of the Secretariat directed by Marisol Vanegas. 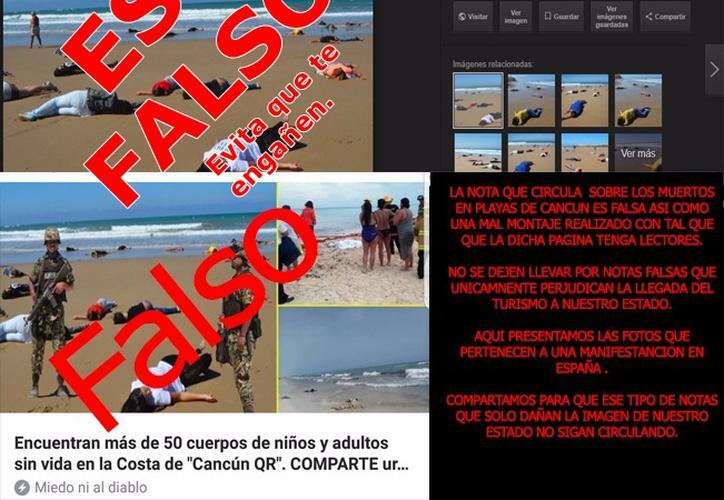 The same photographs, as reported by the Spanish newspaper El País, in its edition of July 2 of this year, circulated at that time on social networks, also with false information about an alleged massacre in Acapulco. The beautiful coasts of Cancun, become a horror. “There has been found more than 50 bodies of children and adults without life on the coast of Cancun QR”. Urged to SHARE. Immediately people from the coast gave notice to the police which sent military support to supervise the scene but when reviewing the bodies of the children they noticed that the bodies were beaten and some opened, immediately were called to the area experts of ​​SEMEFO, which went to the place, after analyzing them, the report was given that some of the children were missing children that still have relatives looking for them and most of them are tourists. Military elements gave the order that photographers stay away from the area and didn’t allow them take any pictures of the event because they wanted to keep this as a secret; immediately the bodies were lifted and moved to give with those responsible and determine why they were on the shore of the beaches of Cancun. After doing some analysis the bodies will be delivered to their families. In the newspaper El País, on June 6, 2016 the note “A beach of Cádiz as if it were the coast of Libya” was published, which mentioned that two journalists from Cadiz recreated the death of 117 refugees in the Mediterranean, which occurred days before on the coasts of Libya. Sara Santos and Luis Sánchez were in charge of launching the call through social networks to gather people and recreate the scene of death by drowning of Libyan refugees, in an artistic way, “to demand that we do not become immune to the tragedy and go beyond briefly commenting a headline in a newspaper”.